Is it possible to add fifty people in one video chat? Yes, Facebook video messenger will do Chatting with friends is fun but if you can add multiple friends in one video chat, it would be the best moment for everyone. The Facebook new video messenger will let you enjoy all your favorite moments with friends by adding six participants in group video chat and include fifty more participants as listeners and they can speak up using voice chat. You can also access various stickers, GIF image, emojis, and other fun stuff in your video chat. To start the video chat, first enable a normal group text chat and there you can find a button at the corner to ring the participants for a video chat. 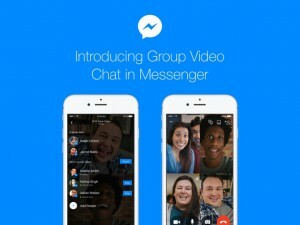 Try the new video messenger in Facebook with app update for android and iOS Smartphones.